Some people do not want to have the color black in their room, as they associate it with death and evil. On the other hand, a few relate it to power and elegance. The color black suggests negative emotions, which is associated with power, style, formality, mystery, evil and death. It can also signify force and power as well as death and grief. However, if used for items such as gowns, cars, tie, suits, dress, hats or other dress accessories, black can have a different connotation. It can represent grace, style, formal and high-status. 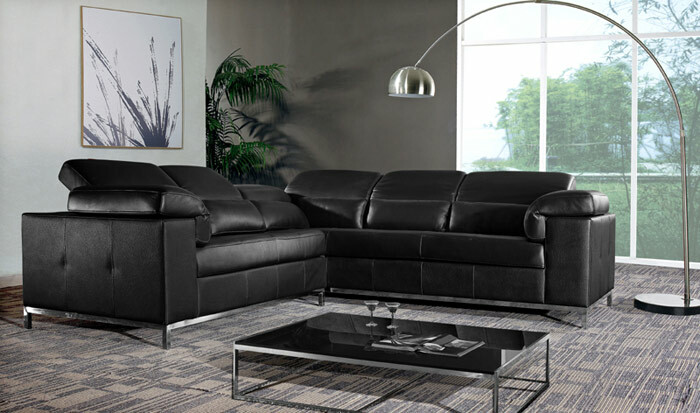 The choice of having black leather furniture gives you two benefits: 1) it is durable and easy to maintain, and 2) it has the ability to hide stains and blemishes. The difficulty though lies in the decorating proper. Blending black with white or chrome is nice; however, some homeowners may not like it, as it may present a cold and hospital atmosphere. 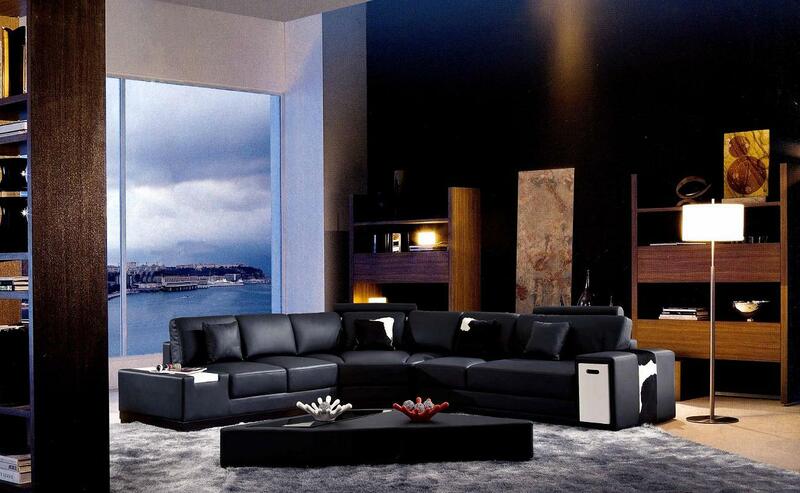 Opting to choose black leather furniture in your room would need a keen eye to create balance. Establishing the proper equilibrium in the living room entails that your furniture and your other furnishings match each other to make your room striking and impressive. Here are some tips if you plan to have black furniture in your living room. 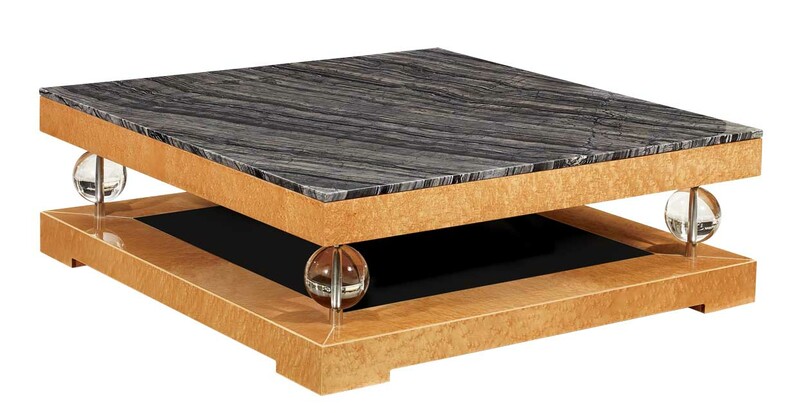 •	Opt to have your coffee table, corner or end table and other furniture in wood. The clinical sharpness of black can be softened by wood. It likewise gives warmth to the room’s ambiance. Choose laminated floors or have them in a light color. •	Opt to use lighter colors for your walls. Light colors are ideal for walls with black leather furniture, as they soften the effects of the color black. You can use pale yellow, peach, light turquoise, light green or light mauve or any light colors that you prefer for your walls. Avoid using white or cream though. •	Have throw pillows in two varied hues. You can have a set that has the same color tone as your walls while another set in a darker tone. The use of monochromatic colors in room decorating will create harmony when combined with the colors that are present in your living room. It will similarly set up a good blend with your furniture and its surroundings to attain a well-balanced atmosphere. If you choose light green for your walls, then have a light green throw pillow on one end of your sofa and a dark green throw pillow on the other end. •	Choose accessories that combine the three colors present in your living room. For example, if you have the colors black, light green and dark green, your accessories must have these colors, too. Let us say you opt to have rugs, wall frame or photos, jars, vases or figurines; make sure that the 3 colors mentioned above are present in these accessories. Spread the accessories in every corner of the living room. Do not concentrate them in just one area. If you want to have candles in your room, choose the lighter and darker shades to create harmony. •	Opt to have some metals. This can be reflected on your lighting fixtures. A polished nickel table or stand lamp is a good choice. 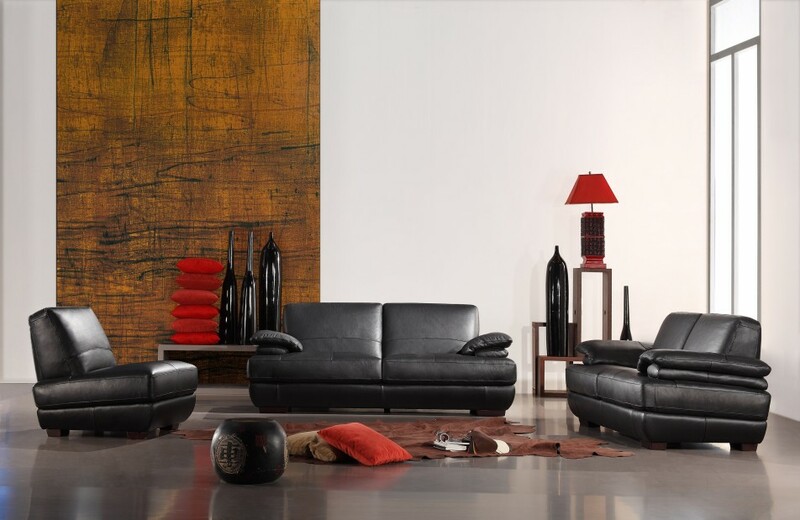 Decorating your living room in black leather furniture will not give you a drab or rigid-looking room. Your living room can present a mysterious elegance that will be the envy of your friends and guests when it is combined with the proper colors and accessories. Woah this blog is magnificent i really like reading your articles. Stay up the good work! You realize, a lot of individuals are looking round for this info, you could help them greatly.